In an effort to share the wealth, I've put together a list of good online gear & ski related sources for everyone to use and to add on to with new recommendations. For its thorough list of skis, sizes and properties. Wow! Thanks for the list. I knew of some, but not all of them! BTW, bought skis from Tramdock.com. Then found them cheaper online elsewhere. They refunded me the difference - I just sent them the link and they did it during the chat session. Less than 5 minutes! I just ordered my new skis from Telemark-Pyrenees. I have bought Dynafit bindings this year, and this site have been a really good information source! Binding Flex Tests and gear weight is just some good things on it! That list of links is awesome. Is SAC the same as Backcountry.com?? Some of the links from SAC lead there, and some of the merchandise and prices are the same. Then there is Backcountryoutlet. From Backcountry outlet, you have SAC & Whiskeymilitia. Also from BC & outlet, are geartrade. 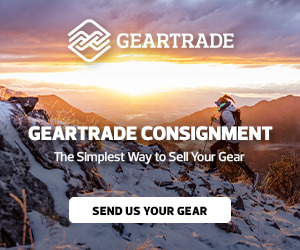 (items returned to them that they can't resell as brand new d/t missing tags, used, etc) and from geartrade.com there is gearengine.com (overstock of geartrade merchandise) Both geartrade & gearengine allow people to sell their own stuff. BTW: If you have noticed changes in the meerchandise that Backcuntry sells, it was bought out by QVC last year. Maybe that is why they are carrying so much Oakley! While looking up those compression tights, I found www.velotique.com This is really a bike shop in Toronto, but they do XC in the winter. I had forgotten all about them as it winter, not bike weather. They have those tights and many other things winter to order online!! I got a good deal on a Marmot jacket and some new mittens a few weeks ago. Great list. I wish all of them would ship to Australia! got boots for $300 less than retail - NEW! I've just ordered my twin-tips from Evogear. They have a price match system where if you find the same product on line for cheaper they will match it and give you an extra 5% discount. Happy days. I love their slogan "This order confirms that you CAN buy happiness. Come back again, we have a warehouse full of it!" I'll keep you informed re international shipping. www.sierraskis.com is the ski website for Sierra Snowboard and Ski, instead of sierrasnowboard.com. They ship FREE within the US too! !